^ Quickfacts.census.gov - Brevard County - accessed 2011-12-06. ^ Quickfacts.census.gov - Titusville, Florida - accessed 2011-12-06. ^ Quickfacts.census.gov - Palm Bay, Florida - accessed 2011-12-06. ^ Rouse, Irving. Survey of Indian River Archaeology. Yale University Publications in Anthropology 25. ISBN 978-0-404-15668-8. ^ Osborne, Ray (2008). Cape Canaveral. Images of America. Arcadia Publishing. p. 15. ISBN 978-0-7385-5327-6. http://books.google.com/books?id=gP8sHFpNXugC&dq=Images+of+America:+Cape+Canaveral&source=gbs_navlinks_s. ^ Hurricanes Archived 2000年9月19日, at the Wayback Machine. ^ Murphy, Myatt (August 2011). “A Shore Thing”. Sky (Delta): 90. ^ Murphy, Myatt (August 2011). “A Shore Thing”. Sky (Delta): 92. 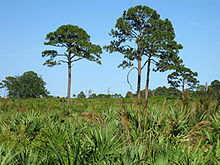 ^ Sally Scalera, Florida Extension Agent Archived 2011年7月14日, at the Wayback Machine. ^ Kim, Eun Kyung (December 17, 2007). Law's impact increases with age. Florida Today. ^ See w:List of United States metropolitan areas. ^ Victim/Witness Services Archived 2011年10月26日, at the Wayback Machine. ^ Murphy, Myatt (August 2011). “Ready to Launch”. Sky (Delta): 82. ^ Space Coast Surge Archived 2015年2月3日, at the Wayback Machine. ^ Murphy, Myatt (August 2011). “Ready to Launch”. Sky (Delta): 83.